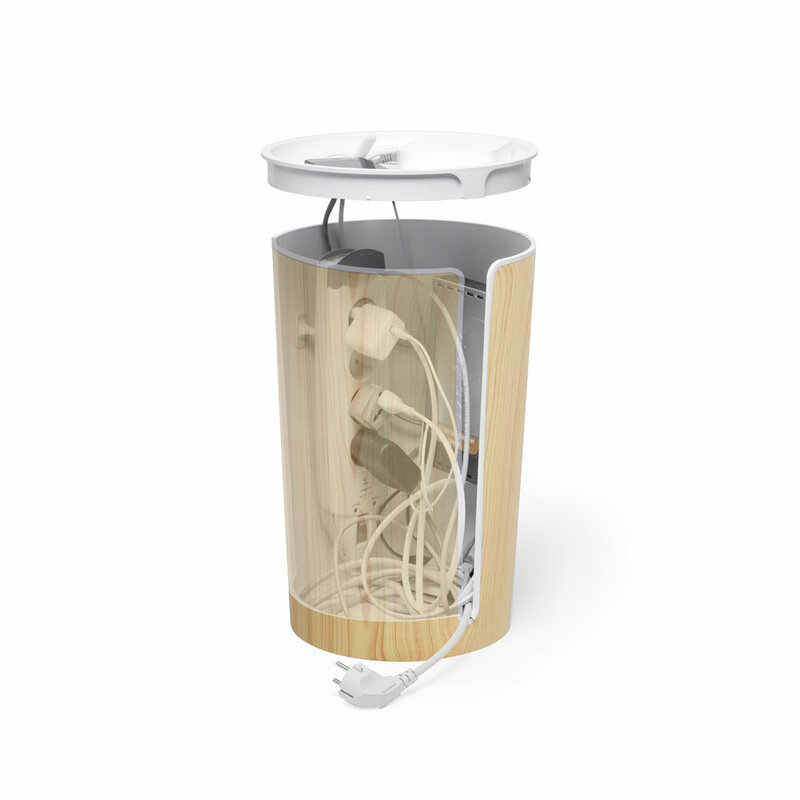 CableBin is a sophisticated bin to gather and organize cable clutter, keeping it out of sight and perfect for the office or living room, CableBin is a sophisticated bin to gather and organize cable clutter, keeping it out of sight. Outlets along the side and in the top grant access to chargers and connectors in use, while the flat lid gives you a place to set smaller devices and hubs. Six self-adhesive hooks are provided to hang your surge protectors and routers up to allow space for cables to hang down the center of the bin. Made of high-density, flame-retardant plastic, CableBin gives you the peace of mind that your cables are safely stowed out of sight.